A major key to a successful event is an equally successful website. 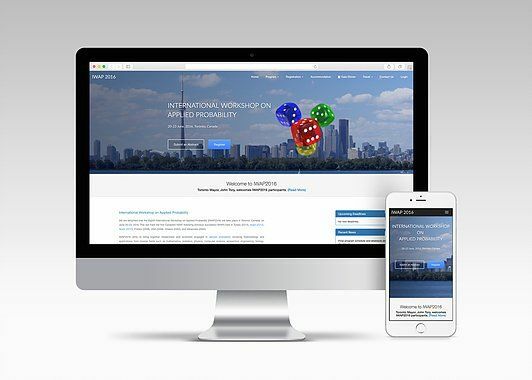 IWAP, International Workshop on Applied Probability, after eight years was finally held in Toronto, which is why Evenset worked to create a beautiful and comprehensive website. IWAP is an extensive multi-day event, attracting participants internationally, therefore information available must be detailed and easy to find. Evenset’s team of developers assisted IWAP 2016 in creating an effective website, that was also mobile optimized to ensure that the event began smoothly. The website worked to register participants, reserve accommodation, and provide information on event programming.